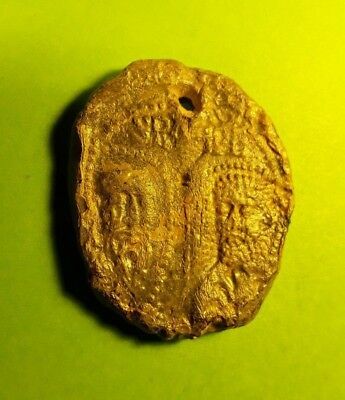 BYZANTINE LEAD SEAL BULLAE in AS FOUND CONDITION, c.900 - 1100 AD. 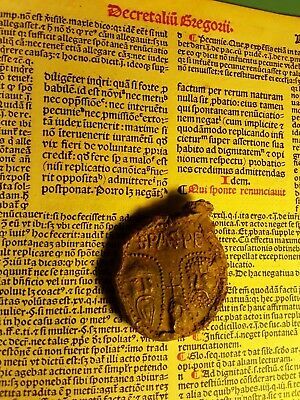 UNIDENTIFIED. Popularity - Good amount of bids. 0 views, 0 views per day, 317 days on eBay. 1 sold, 0 available. Good amount of bids. 0 views, 0 views per day, 317 days on eBay. 1 sold, 0 available. Seller - 5,956+ items sold. 0% negative feedback. Top-Rated Seller! Ships on time with tracking, 0 problems with past sales. 5,956+ items sold. 0% negative feedback. Top-Rated Seller! Ships on time with tracking, 0 problems with past sales. 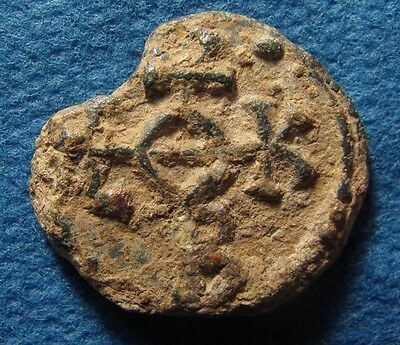 Byzantine Lead Seal Raised(VIS-VLLIV) letters.300-1400ad.19mm.7.5 gms.